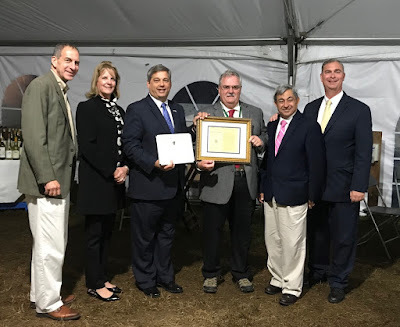 On Tuesday night I was honored to join with my legislative colleagues and the Topsfield Fair community to celebrate the 200th anniversary of the fair and the establishment of the Essex Agricultural Society. During the celebration we presented a framed copy of the original legislation that created them to Fair Board President Lisa Colby and General Manager James O'Brien. The Topsfield Fair is the oldest fair in America. Thanks to this wonderful organization for preserving and strengthening the great traditions of the Fair and agriculture in our region. Join in this great New England tradition - check out the schedule of events and come to the fair. Plum Island Ecosystems "Flash Talk"